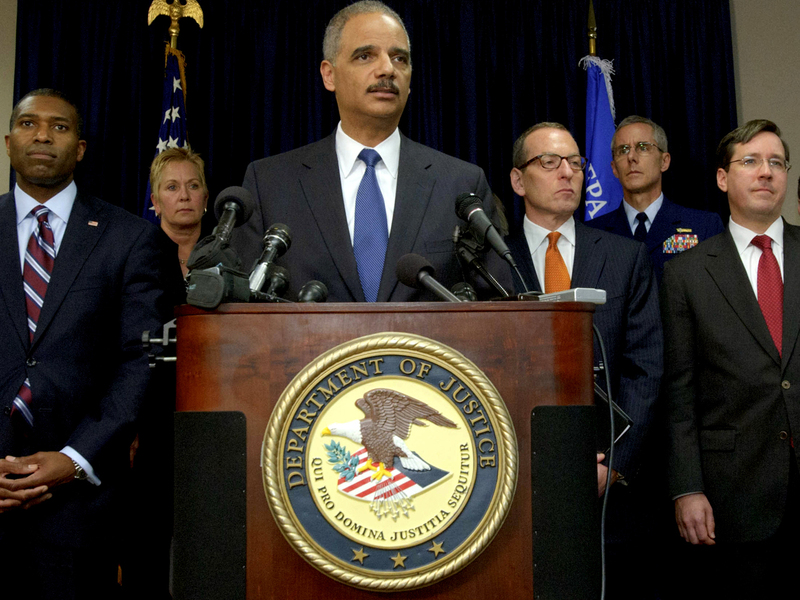 WASHINGTON Lawyers for the House and the Justice Department will meet to try to resolve a lawsuit over congressional efforts to get records related to Operation Fast and Furious, a bungled gun-tracking operation in Arizona. The lawyers told U.S. District Judge Amy Berman Jackson on Tuesday that the two sides would prefer to meet without the assistance of the court. Kerry W. Kircher, a lawyer for the GOP-led House, said the discussions would take place in the "near future." Jackson, who was nominated by President Barack Obama, scheduled another status conference in the case for Jan. 10. In broaching the topic of a settlement, Jackson told the two sides that there is "not a lot of controlling legal precedent here." Obama has invoked executive privilege and Attorney General Eric Holder has been found in contempt of the House for refusing to turn over records that might explain what led the Justice Department to reverse course, after initially denying to Congress that federal agents had used a controversial tactic called gun-walking in the failed law enforcement operation. House panel: Let courts decide "Fast and Furious"
In a Feb. 4, 2011, letter to Congress, the Justice Department said agents made every effort to interdict weapons that have been purchased illegally and prevent their transportation to Mexico. That assertion turned out to be incorrect, and the department withdrew the letter 10 months later. In a question-and-answer session after a news conference on another topic in New Haven, Conn., on Tuesday, Holder said the department has long sought to resolve the issue with the House. "We are prepared as we indicated many months ago to try to strike a deal, to come up with a way in which we can satisfy the legitimate oversight request that Congress has made, understanding that there is a need for privilege, the ability for us in the executive branch to speak candidly with one another," he said. "I think there is a deal that can be struck," Holder added. "We could have struck this deal many months ago." The department has already turned over 7,600 pages of documents on the operation itself. The continuing dispute is over documents describing how the department responded to the congressional investigation of the operation. Obama asserted executive privilege to shield the administration's internal decision-making about the congressional investigation. In Fast and Furious, agents from the Bureau of Alcohol, Tobacco, Firearms and Explosives abandoned the agency's usual practice of intercepting all weapons they believed to be illicitly purchased. The goal of the gun-walking approach was to track such weapons to high-level arms traffickers who long had eluded prosecution, and to dismantle their networks. But agents lost track of many of the weapons, and hundreds of them purchased from Arizona gun shops wound up in Mexico, where many of them were recovered at crime scenes. Two guns in Operation Fast and Furious were found on the U.S. side of the border at the scene of a shooting in which U.S. border agent Brian Terry was killed. Five men have since been charged in Terry's death, and one pleaded guilty last month and faces life in prison. Three others remain fugitives. Also Tuesday, Ian Heath Gershengorn, a deputy assistant attorney general in the Justice Department's civil division, told the judge that the subpoena from the House Oversight and Government Reform Committee for the records will expire on Jan. 3, when the current Congress expires and a new one takes its place. He said that could make the case moot. Jackson asked both sides to file a joint report in January on the status of the subpoena. Because the House will remain in GOP hands, it's likely that a new subpoena would be issued, barring a settlement in the case. The Justice Department has urged Jackson to dismiss the lawsuit. In court papers, the department argued that the Constitution does not permit the courts to resolve the political dispute between the executive branch and the House Oversight and Government Reform Committee. Lawyers for the House responded in their own filing that "labeling a dispute `political' is not a legal argument; it is a talking point masquerading  poorly  as an argument." Meanwhile, two men were sentenced to multi-year prison terms on Monday for their roles in a gun smuggling ring that was tracked by Operation Fast and Furious. The Justice Department said the men were among so-called straw buyers who illegally purchased weapons for traffickers and Mexican drug cartels in a Phoenix-based gun trafficking ring.